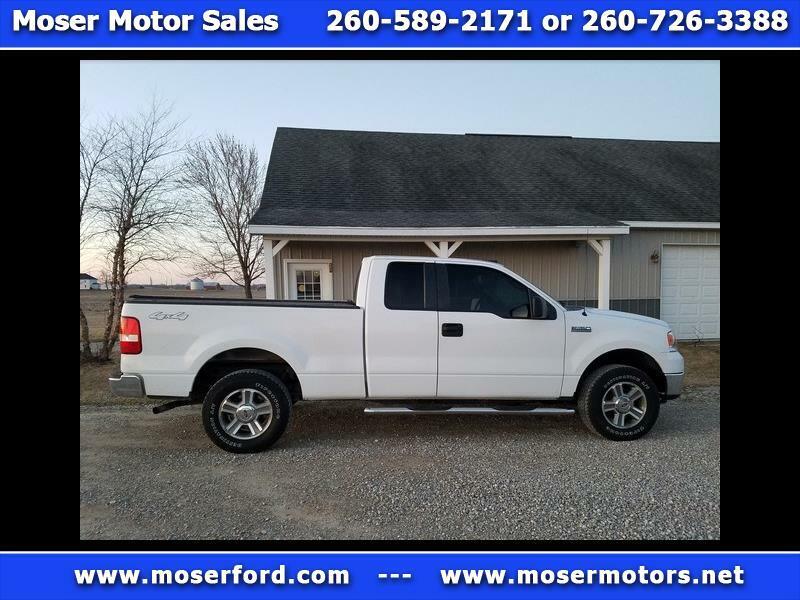 2007 Ford F150 SuperCab XLT Styleside 4x4. Local Trade. 5.4L Flexfuel V8. Equipped with 3.73 Locking Differential, Keyless Door Entry, Remote Entry, Trailer Tow, CD Player, Air Conditioning, and Cast Wheels. Motor and transmission run smoothly. Transfer case 4x4 shifts properly. During its mechanical inspection, two worn ball joints were found and full new kit installed, including all four ball joints, upper control arms, tie rods, and stabilizier links. Front end alignment also completed. Brakes and fuel lines checked out. Full service completed. Body is solid. Non-smoker Interior is in good condition. NOT A CANADIAN TRUCK. Give us a call at 260-589-2171.